Beautiful tear drop and round shape pendant. It's stone size is 18x25mm to 20x30mm. 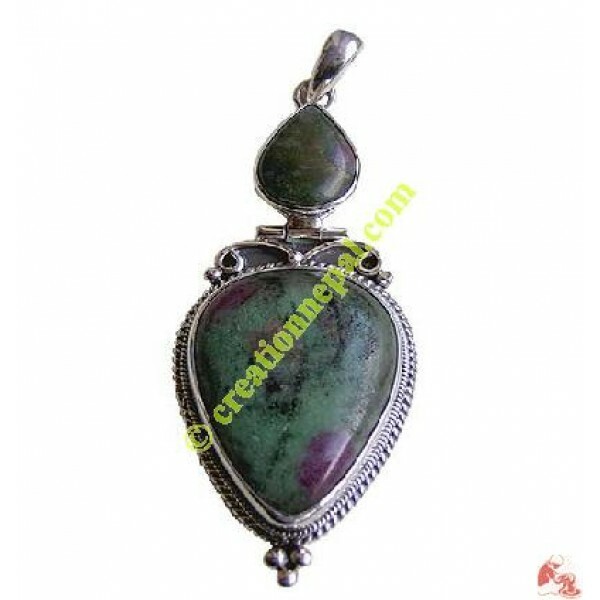 Stones in pendant are in Amber or Onyx or Lapis or Turquoise. Since the product is entirely handmade; NO two are alike, hence there can be a slight variation on given measurement.